During this class, you will learn to knit two socks at one time, from the top down. You should already be comfortable using the the Magic Loop method for knitting in the round. 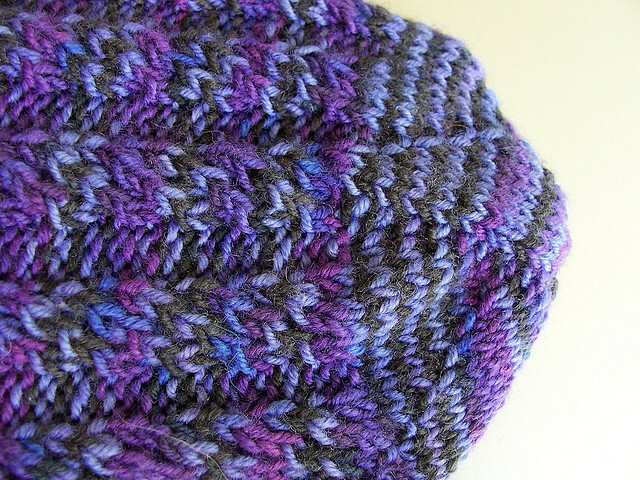 I have chosen the Broad Spiral Rib sock pattern by Tracey Ewing because of the construction. 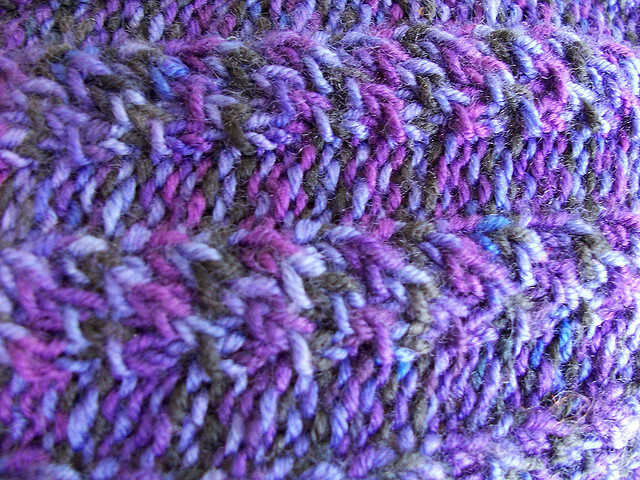 You will learn to knit a cable without a using a cable needle, her process for turning the heel is very decorative as well as the star toe finishing. It is a free download on Ravelry. Materials: Approximately 480 yards of sport weight sock yarn. Size US #3, 47 inch circular needle, and darning needle. Cost: $45.00 – Three session, two hour class. As with all our classes, you will receive a 10% discount on all materials. Check our calendar for dates and call The Fibre Studio to reserve your spot. Diane B. will teach a class for the Houdini Sock. This is an ancient method that has been updated by Cat Bordhi. The here for a free pattern. In this class, you will begin by making a “foot print” of your sock. This class will guide you in determining the placements for creating the foot and then the leg openings for your sock. We will “hold your hand” through the squeamish process of cutting your knitted piece to create your leg opening. Sock Is A Weight, Not A Destination! Just In! Lovely new colors of Denali Sock from Pagewood Farms. How perfect would Just Enough Ruffles be knit in Turquoise to show your Panther’s spirit!